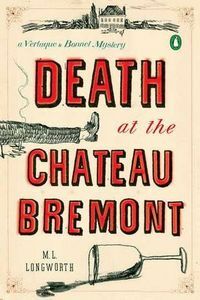 Death at the Chateau Bremont by M. L. Longworth: Synopsis and Online Purchase Options. Synopsis (from the publisher): When local nobleman Etienne de Bremont falls to his death from the family château, the town is abuzz with rumors. Antoine Verlaque, chief magistrate of Aix, suspects foul play and must turn to his on-again, off-again love interest, law professor Marine Bonnet, for help when he discovers that she had been a close friend of the Bremonts.